10. this should be played at high volume… preferably in a residential area! And now for something completely different… or not? 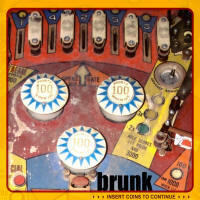 brunk is Bert Vanden Berghe, insert coins to continue is his fourth free WM Recordings release. Enjoy! insert coins to continue by brunk is licensed under a Creative Commons Attribution-Noncommercial-Share Alike 3.0 Netherlands License.